Star of BBC2’s Attention Scum and Radio 4’s Where Did It All Go Wrong? Seen on BBC2’s Stewart Lee’s Comedy Vehicle and heard on Radio 4’s The News Quiz announces his latest UK Tour. 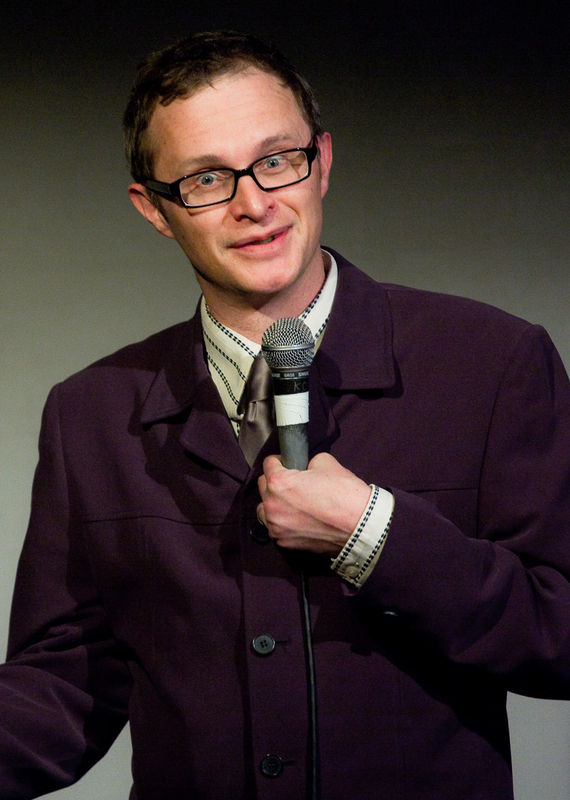 Following the success of his first ever (and long overdue) national tour of Self Employed in 2011, Simon Munnery is releasing the whirlwind Hats Off To The 101ers, And Other Material upon the people of Great Britain 2012. Its an extravagant mess of foaming bubble hats, superlative jokes, bad guitar riffs, delightful monologues, hand-made engineering feats and an overly ambitious one-man punk musical about the R101 airship of the 1930s. All performed with a plum. Or some other fruit. First on our screens in the mid-nineties on ITV’s flagship comedy show Saturday Live Simon had already made his mark on the live circuit with The Dum Show (with Steve Coogan, Patrick Marber, Stewart Lee and Richard Herring) and as the host of the experimental night Cluub Zarathustra. His characters including Alan Parker: Urban Warrior, The League Against Tedium and Buckethead became both live and broadcasting favorites and earned him a Perrier Award Nomination and a Barry Award Nomination (1999). He built upon his breakthrough success with several vehicles on radio and TV including two series of his own show on Radio 4 Where Did It All Go Wrong? His Radio 1 series Alan Parker’s 29 Minutes of Truth picked up a Sony Gold Radio Award; his BBC 2 show London Shouting was nominated for a British Comedy Award; and in 2001 Simon’s BBC 2 series Attention Scum (directed by Stewart Lee) was nominated for a Golden Rose of Montreux Award. He has acted alongside Steve Coogan in BBC2’s The Private Life of Samuel Pepys as well playing Samuel Johnson (Johnson and Boswell – Late But Live, 2007) and Queen Elizabeth I (Elizabeth and Raleigh – Late But Live, 2008).